This year is the International Year of Astronomy and, in part, marks the 400th anniversary of Galileo Galilei’s first use of telescopes for astronomic observation. And we can’t remember Galileo without also remembering how he was treated by the Church. I find it interesting, however, that there seems to be a fashion amongst some Christian apologists, and even some others, to blame Galileo for this experience. In other words to blame the victim. The basic facts are well known. The Catholic Church had banned the advocacy of heliocentrism, the idea that the earth orbited the sun. They declared that it was contrary to the literal meaning of scripture. Despite Galileo’s forced recantation of these ideas he lived out the rest of his life under house arrest on orders of the Roman Inquisition. A classic example of dogmatism preventing honest scientific investigation. Of course the details of these situations are always more complex and each party to a conflict will have their own political and social agendas. And it is easy to find fault with the behaviour of victims. And this is what is happening here with this current apologist fashion. The whole incident is now being presented by some as if the Church was somehow blameless. 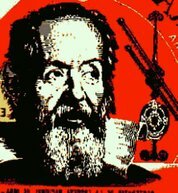 Galileo has been accused of political manipulation. He was “opposed by the “scientific establishment” . . . and it is they who used the church to get Galileo condemned. In essence, the Galileo affair was not church versus science, but mostly “science-politicized” on both the sides.” (see Bias, Prejudice, and Cheating in Science!!). So science was at fault and the Church was innocent! Others claim Galileo’s crime was to suggest that science could help us understand the true facts of nature. It would have been OK for him to propose heliocentrism as a convenient instrumentalist was of describing the phenomena but only the Church was capable of revealing the underlying truth. Again, the Church was blameless and Galileo brought it on himself. This is suggested in one of William Lane Craig‘s podcasts. See also the podcast by by Conor Cunningham – A plague on both houses – mp3). This reminds me of the apologists for Stalin and Mao Zedong who used to justify the persecution of individuals by their regimes. I remember New Zealand liberals and leftists (including many Christians) condemning China’s “Capitalist Roaders” and ignoring or excusing the Maoist repression of the “Cultural Revolution” of the 1960s and 1970s. And I am sure Stalin’s supporters were able to find (or invent) behavioural faults in the victims of that regime during the 1930s and 1940s. Supporters of those regimes were skilful in blaming the victim, finding fault with their behaviour, and meanwhile ignoring completely the repressive and bloodthirsty behaviour of those tyrants and their political regimes. Let’s not forget that the Church took 200 years to remove Galileo’s major work on the solar system, Dialogue Concerning the Two Chief World Systems from the Roman Catholic index of prohibited books. And it didn’t lift Galileo’s conviction for heresy until 1992! I see a similarity in the behaviour of the Church to Galileo and the political repression of Stalin and Mao. To me the apologetic excusing of the church is equivalent to blaming Solzhenitsyn for his exile from the USSR. (After all, there is a lot in Solzhenitsyn’s behaviour which was wrong). Or to blaming Andrei Sakharov for his internal exile. Or blaming Liu Shaoqi for his death. It’s equivalent to blaming all those individuals who murdered by Stalin and his henchmen in Stalin’s Soviet Union. Don’t these apologists have any conscience? This entry was posted in Christianity, communism, creationism, faith, god, human rights, New Zealand, religion, science, supernatural, superstition, theology and tagged Christian apologetics, Galileo Galilei, International Year of Astronomy, Mao Zedong, Roman Inquisition, Stalin. Bookmark the permalink.